AID groups have warned of an impending humanitarian catastrophe in western Myanmar as authorities attempt to isolate tens of thousands of the displaced ethnic Rohingya minority in camps described by one aid worker as "open air prisons". Aid has struggled to reach those affected by sectarian unrest in early June. The UN announced on Friday that 10 aid workers in Arakan state had been arrested, five were UN staff. Some have been charged, although the details remain unclear. 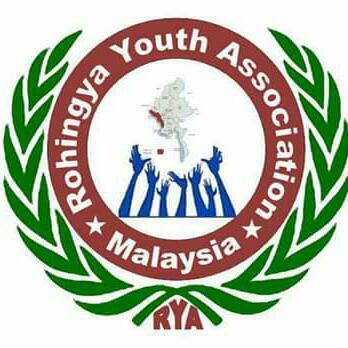 Rates of malnutrition among the Muslim Rohingya, who have borne the brunt of emergency measures implemented in the wake of fierce rioting in June between the minority group and the majority Arakanese, are said to be "alarming". Most aid workers have either been evacuated or forced to flee in recent weeks. "We are worried that malnutrition rates already have and will continue to rise dramatically; if free and direct humanitarian access accompanied by guaranteed security is not granted with the shortest delay, there's no way they won't rise," said Tarik Kadir of Action Against Hunger. Its staff were forced to leave northern Arakan state, where 800,000 Rohingya live and where malnutrition rates were already far above the global indicator for a health crisis. With scant medical care reaching the area, the situation is likely to worsen. "There's no way of measuring the impact over the past month because staff have either been evacuated or forced to flee," he said. "And given that rainy season is under way, when you factor in all these other problems, we don't need to measure it to know it's a catastrophe." President Thein Sein, who has been praised for reform, on Wednesday unsuccessfully requested UN help in resettling nearly one million Rohingya abroad. Critics likened it to mass deportation. Elaine Pearson, deputy Asia director at Human Rights Watch (HRW), said it "would expect a strong international response" to any attempt to deport the Rohingya. HRW staff who recently returned from Arakan state said that while both Rohingya and Arakanese were complicit in "terrible violence" during the rioting, subsequent mass arrests "focused on Rohingya". "Local police, the military, and border police have shot and killed Rohingya during sweep operations, those detained are being held incommunicado," she said. A resident of Maungdaw in northern Arakan said he had witnessed Rohingya men and children as young as 12 being tortured in a police station in early July. After interrogating them about arson attacks in the town, police "handed them over" to Arakanese youths inside the station. "I saw these youths burning the vital parts of old men with a cheroot [cigar] and also hitting young Muslim detainees with an iron rod." The official death toll of the rioting and its aftermath has been put at 78, although the real figure may be much higher. International observers are banned from visiting northern Arakan state.